After a short climb out of Brampton we descended along quiet country roads to Carlisle. We felt like we were going pretty fast and the weather was lovely. 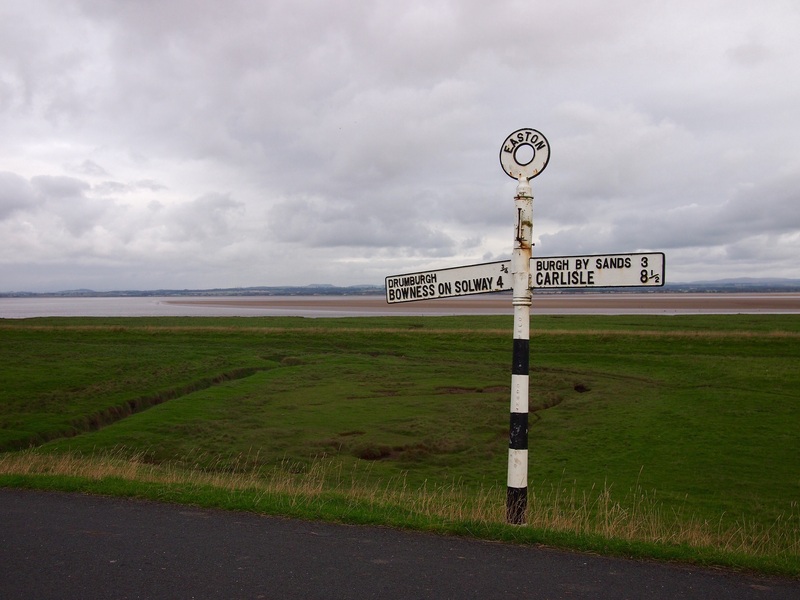 As we neared the Solway Firth coastal road the clouds darkened and we hit a horrible headwind which stayed with us for the whole day and seriously tired us out. The majority of the day was essentially flat and we felt as if we should have been zooming along but it wasn’t to be. We found the signposting along today’s section to be a bit patchy and had to cross-check our route against what we had loaded into Strava several times. As we were finishing up our lunchtime Ullswater pie we could feel the temperature dropping and the drizzle soon began. It wasn’t as bad as the full afternoon of rain which the forecast had promised but we definitely couldn’t appreciate the scenery as much as if it had been dry and sunny. 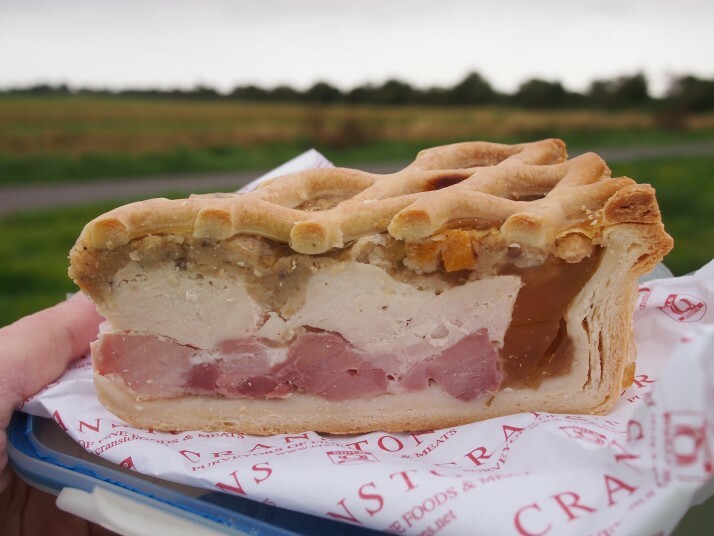 After yesterday’s post I know that you’re all dying to know what Ullswater Pie is – here you go, imagine a lattice topped pork pie filled with ham, chicken and stuffing. Yum! 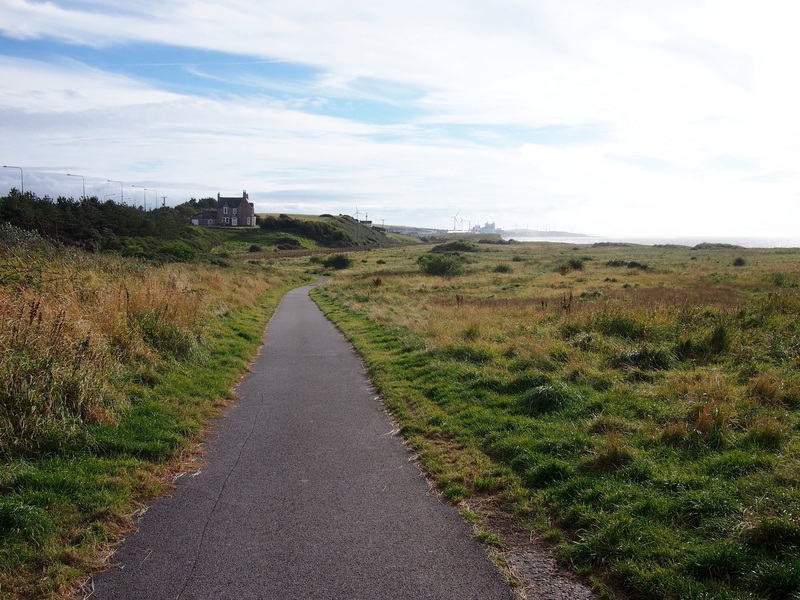 For the final twenty miles towards Whitehaven the path followed the coast through Maryport and Workington, the sun came out for a while which improved our mood but didn’t chase away the headwind. As we rounded the corner before arriving in Whitehaven, we thought we were going to have to climb the steep road onto the clifftop, but fortunately the path peeled off beside the railway line along the base of the cliffs, a dramatic end to the day. No cycling tomorrow, we’re going to have a good long sleep, a full English breakfast and a day of lazing around. There may or may not be a blog post depending on how we feel. 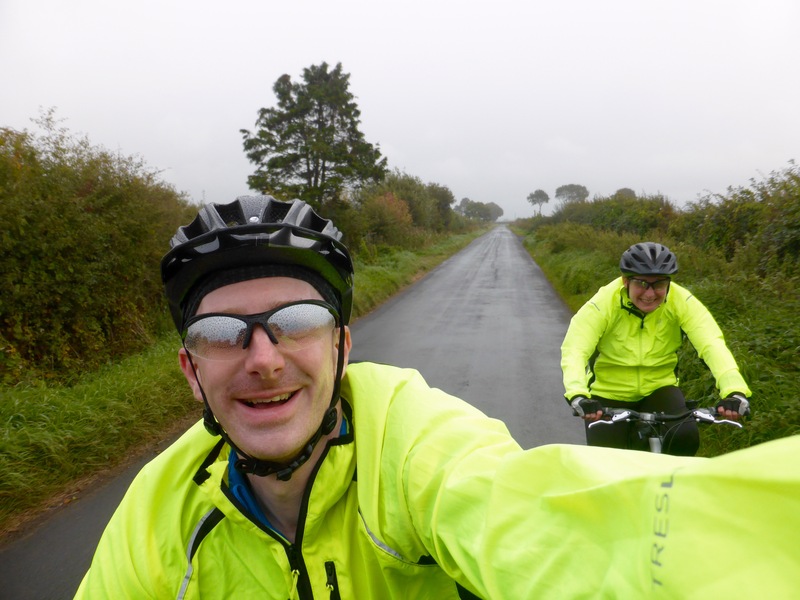 This entry was posted in Experiences and tagged Bicycle, G2C2C, Hadrian's Cycleway, UK on September 23, 2015 by Julie. Fingers crossed the wind doesn’t change – then you’ll have a tailwind all the way home!! We were just saying the same thing – I think we’ve earned a bit of tailwind now! What is 35 + 9 ?